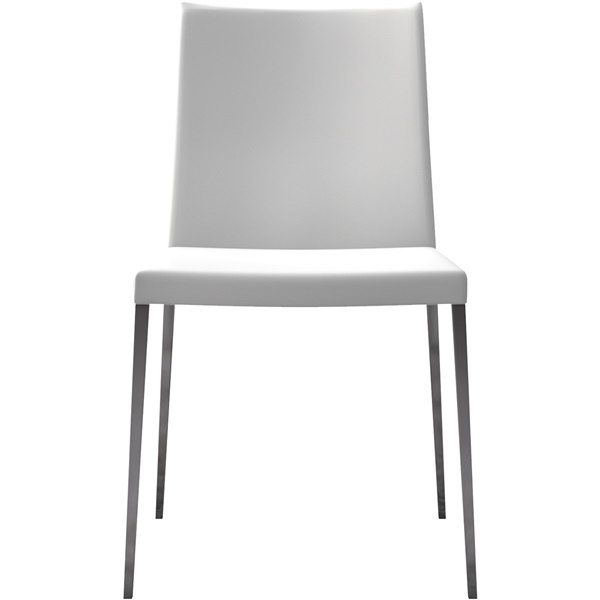 Transform an ordinary dining room into a luxurious space thanks in part to the Asti Dining Chair. This sleek, streamlined dining chair features an Italian-made Eco Pelle leather seat that is comfortable and stylish. It also boasts slightly angled stainless steel legs that help give the chair a modern flair. Enjoy a dining chair that offers a great blend of fashion and function � the Asti Dining Chair. Italian-made Eco Pelle leather seat offers supreme comfort. Stainless steel legs deliver exceptional strength. Legs are slightly angled to give the dining chair a modern flair. Chair design helps bring a hint of luxury to a dining room's d�cor.